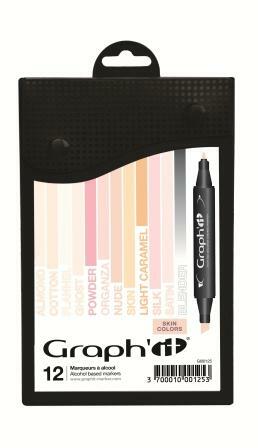 Premium Art Brands are the exclusive distributor of the Graph'It Marker for UK and Eire. The Graph'It range has taken 2 years to research and design and appeals to Crafters Art & Design students and Manga Artists. 1110 is the code for Citrine which is a light yellow. So Yellow is the colour family identified by 11as the first 2 digits. The last 2 digits 10 show it is lighter. This can be compared with 1180 the code for Mimosa which is a much darker and saturated Yellow colour.